Are they kidding? There can be several legitimate arguments adduced for and against the process of voting known as both Instant Runoff Voting and Ranked Choice Voting, but the Memphis City Council's current campaign against the process has gone way out of bounds. It was strange enough that the council found it necessary late last year to authorize a public citywide referendum on whether Ranked Choice Voting — to use the term adopted by county election administrator Linda Phillips and the County Election Commission — should be allowed the trial run in the 2019 city election that was authorized by the commission. 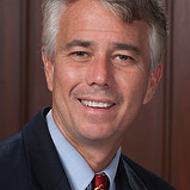 The process was overwhelmingly approved by Memphis voters in a 2008 referendum, and only a period of uncertainty as to whether the Shelby County election machines could accommodate RCV had delayed implementation. 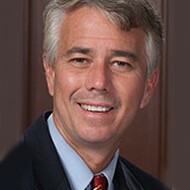 In scheduling the 2019 trial run, Phillips provided assurances that the machines now in use were sufficient. 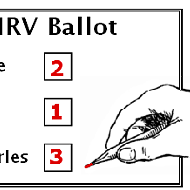 The point of Ranked Choice Voting, already in use in several places in the United States, is to make unnecessary the expensive, inconveniently scheduled, and low-turnout runoff elections that occur when the first round of an election race has failed to yield a majority winner. Voters are presented with ballots that allow them to rank their preferences in order — usually for only three places. Should no majority winner emerge, the ballots are progressively resampled, with no change in the voters' data, to produce an eventual outcome in which one candidate demonstrates enough support, across the board, to be adjudged a legitimate winner. On a smaller scale, this is the process by which Academy Award winners are chosen by the Motion Picture Academy. 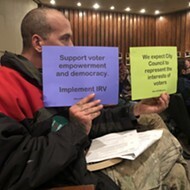 Not only has the council chosen to try to prevent the fair trial by voting to schedule a follow-up referendum on Ranked Choice Voting this November, it has confused the issue with spurious and easily disproven claims — comparing the RCV process to the old Jim Crow poll tax, for example, as Councilman Ed Ford did in a recent public appearance. Worse, the council has further complicated and confused things (perhaps intentionally) by scheduling a second referendum for November — this one abolishing all runoffs of any kind. If successful, this would abandon the idea of consensus winners and leave us governed by candidates who, like Donald Trump in the multi-candidate 2016 Republican primaries, manage to eke out mere pluralities. Meanwhile the council that has theoretically arranged for Memphis voters to take a second-chance vote on RCV this fall has chosen to use our taxpayer money to pay a Nashville lobbying firm to work on behalf of a state law in the current legislative session that would ban the use of Ranked Choice Voting statewide. Should such a law pass, the referendum would be rendered null and void. "Duplicity" almost seems too mild a term to describe this action. Do current council members fear that RCV, by insuring that closely contested election results can be resolved by the votes of a full electorate, might be a threat to their incumbency? We're betting yes. Making the case for instant runoff voting.